As a Words About Music participant, you’ll learn the tricks of the trade behind music journalism, and use your new found skills to create inspiring content about the music you will hear every day at camp. Over the course of the two weeks your tutor will guide you through web and print publishing, teach you broadcast and podcasting techniques, and help you produce top-notch program notes. From the minute you arrive at AYO National Music Camp, you’ll experience a whirlwind of new faces, exhilarating challenges. uplifting performances and first encounters with Australia’s best young musicians, composers, sound engineers and administrators. With an action-packed schedule it’s important to look after our participants. We provide airport transfers, comfortable shared accommodation and three meals per day for every camp attendee. 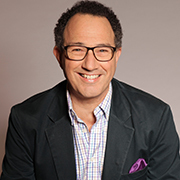 After his first broadcasts on 2MBS-FM and ABC Classic FM in the 1980s, Phillip appeared on all the major ABC radio networks, as writer, presenter and producer. On ABC Classic FM, between 2014 and 2018, he presented Screen Sounds, Sunday Recital, Classic Breakfast and many live concert broadcasts. His writing has appeared in The Sydney Morning Herald, The Australian, The Australian Financial Review and the Screen Australia blog. Read more.